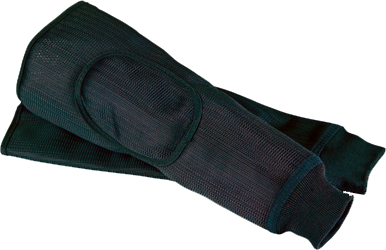 FX� 9000 arm protectors slip on and off easily. These one-size-fits-all are made of high-strength textile. Available in black.